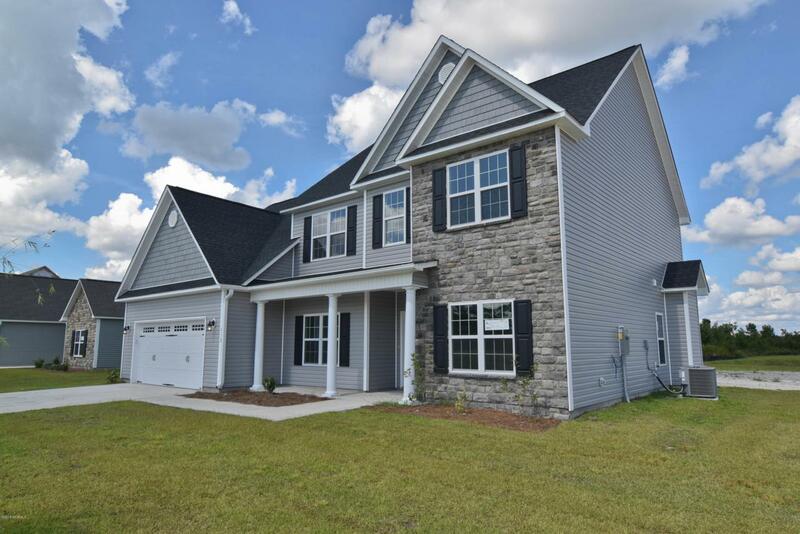 The Burton floor plan offers 4 bedrooms, 2.5 bathrooms, a bonus room and an office with approximately 3078 heated square feet. 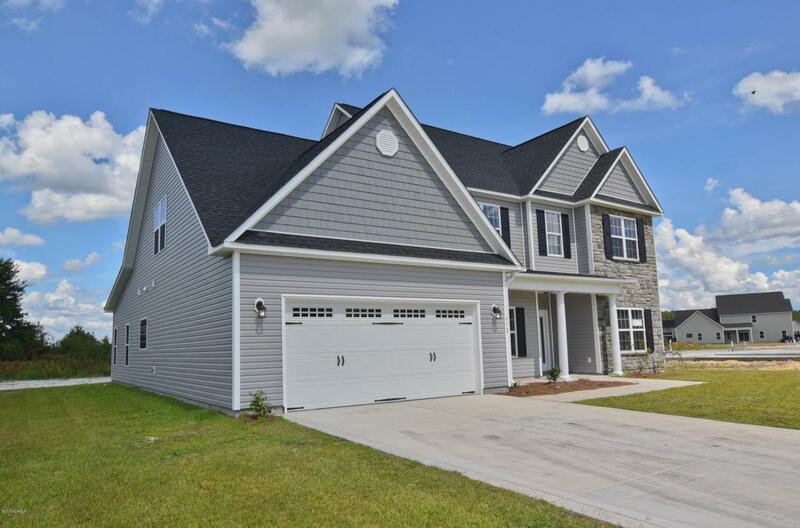 The front of the home is covered with easy to maintain vinyl siding, accented with either stone or brick and a sodded front yard. The front porch offers plenty of space for your rocking chairs and enjoying the upcoming Carolina sunrises and sunsets. The lovely foyer presents a great welcome for your guests and a seamless transition into the formal living room. The formal dining room flows directly into the kitchen. 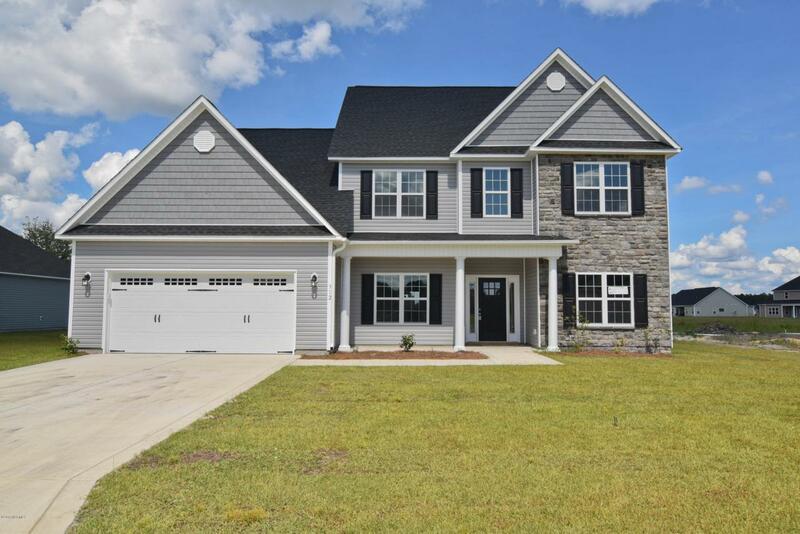 The generously sized kitchen features granite counter tops and a stainless steel appliance package to include the dishwasher, microwave hood, and smooth top range.The kitchen is open to a large breakfast nook and the oversized family room complete with fireplace. Just off of the breakfast area there is access to the laundry room and large master suite that is sure to impress! 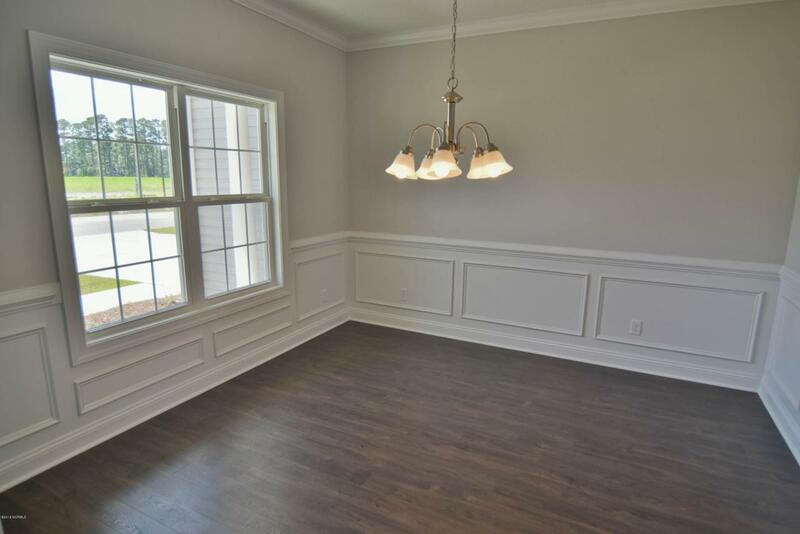 The master suite features a trey ceiling, ceiling fan, and master bathroom and master walk-in closet. The master bathroom includes a double vanity with cultured marble counters and full mirror, water closet, separate shower and soaking tub. On the second floor there is a nice sized office and the 3 remaining well apportioned bedrooms each with their own walk in closet. At the end of the hallway you will find the humungous bonus room! Wander outside to your covered back patio, the perfect place to gather for BBQ's or those warm Carolina evenings. Your two car garage is the perfect place to keep your vehicles safe from the weather. All backed by a one-year builder warranty, from a top local builder. NOTE: Floor plan renderings are similar and solely representational. Measurements, elevations, and design features among other things, may vary in the final construction. Call to verify. Buyer to verify schools.